In a large bowl, combine both sugars, flour, baking soda, baking powder, salt, cinnamon, and pumpkin pie spice. In another bowl, combine egg, pumpkin puree, oil and water. Once combined add this mixture to the flour mixture. Once mixed, add the chocolate chips and stir. Grease loaf pan, and pour the batter into it. Bake at 350 for 45-55 minutes or until a toothpick inserted comes out clean. Let cool before eating. 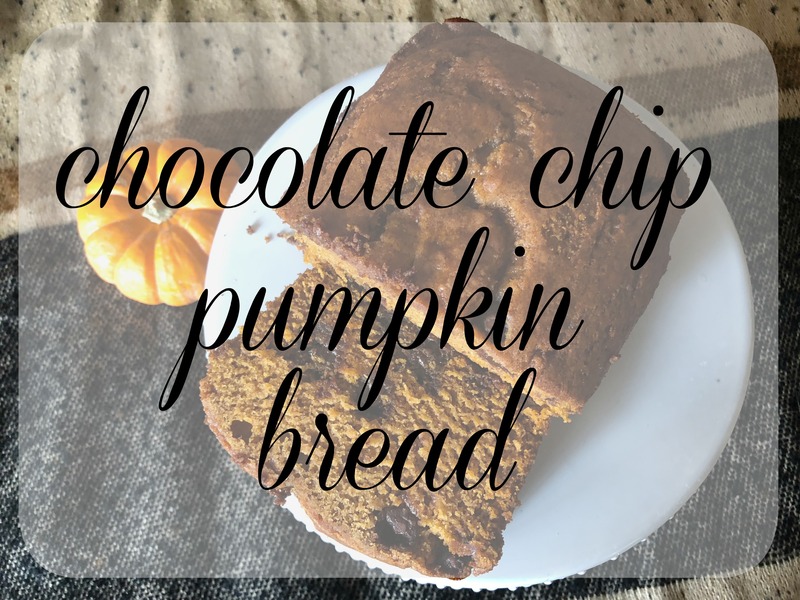 It’s delicious – and I had extra chocolate chips, so why the heck not? !